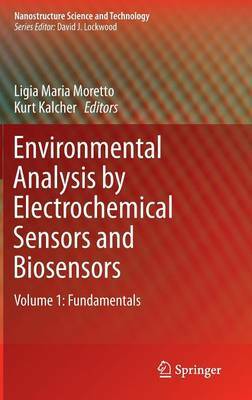 This book presents an exhaustive overview of electrochemical sensors and biosensors for the analysis and monitoring of the most important analytes in the environmental field, in industry, in treatment plants and in environmental research. The chapters give the reader a comprehensive, state-of-the-art picture of the field of electrochemical sensors suitable to environmental analytes, from the theoretical principles of their design to their implementation, realization and application. The first three chapters discuss fundamentals, and the last three chapters cover the main groups of analytes of environmental interest.